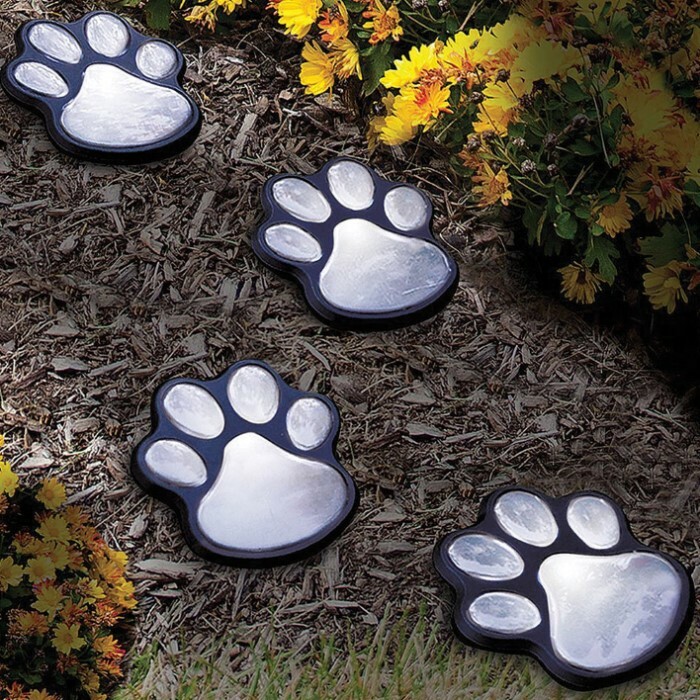 Solar Paw Print Lights | BUDK.com - Knives & Swords At The Lowest Prices! These cute LED lights will be a great landscaping accent to your yard or garden. These lights are solar powered and you get four of them in the set. 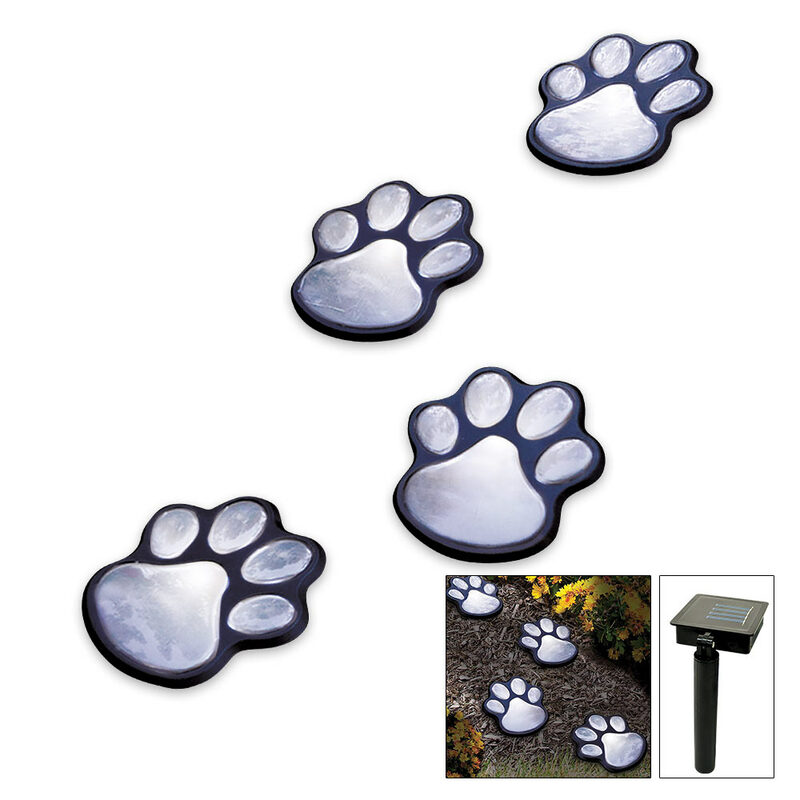 Just place the solar collector in the sunniest spot in your yard and place the paw stakes into the ground. 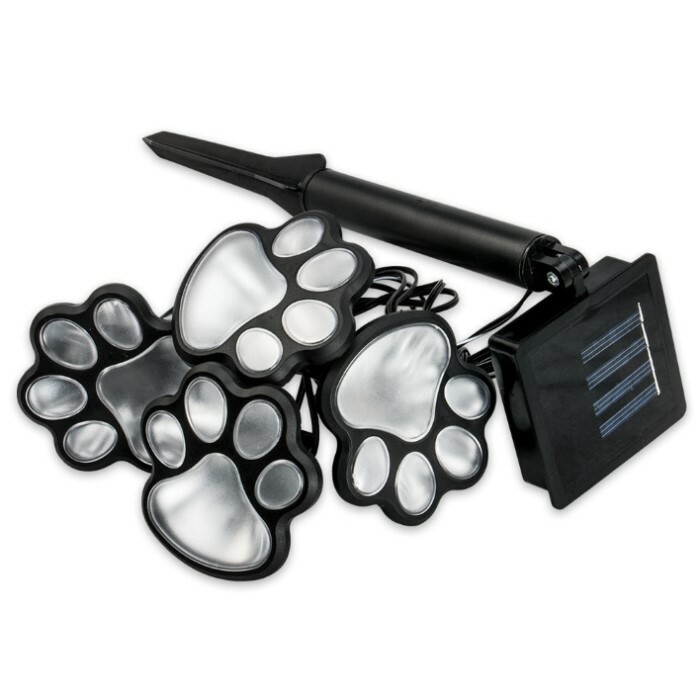 A cord is between each paw and the solar battery is replaceable.